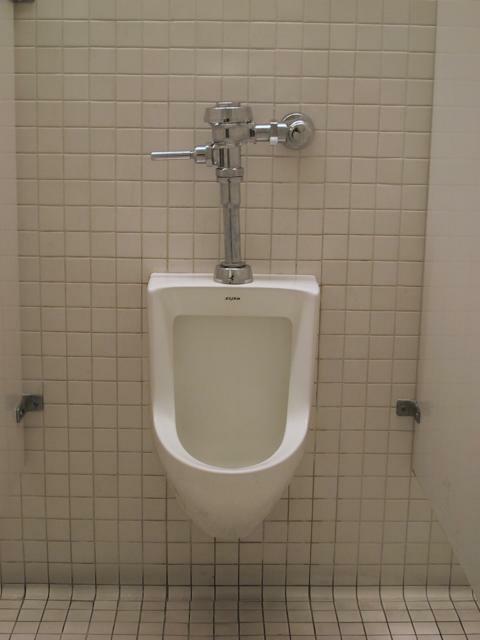 The San Francisco Museum of Modern Art is located in San Francisco's South of Market area. 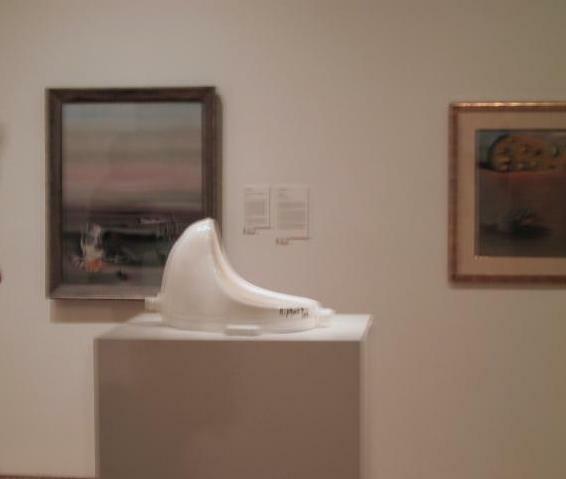 This urinal is on display as a work of Modern Art by reknowned artist Marcel Duchamp. It can be seen on the second level as part of the permanent collection. This installation is also on display at the Tate Modern in London and the Centre Georges Pompidou in Paris. 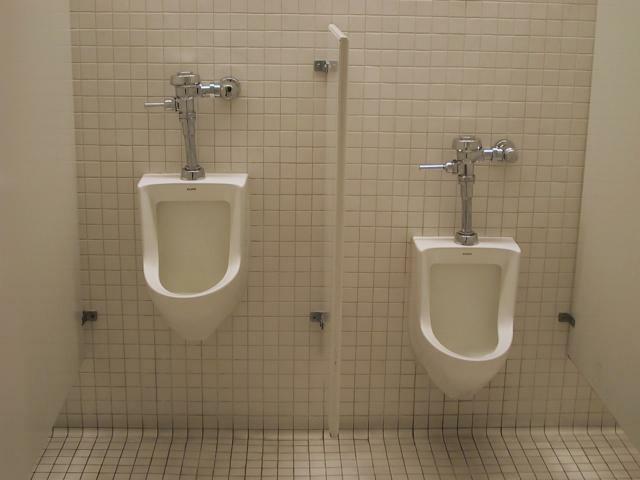 In addition to the urinal on display, SFMOMA has functional installations on multiple floors. These can be found on the second level. Here is a closeup of the fixture. We believe it to be an Eljer.